I have been working with a full design client for a few months and we are nearing the end of the project and I’m so excited to share the finished result with you soon. This precious little girl was getting a new room because she has a brother on the way who was going to be moving into her existing room. 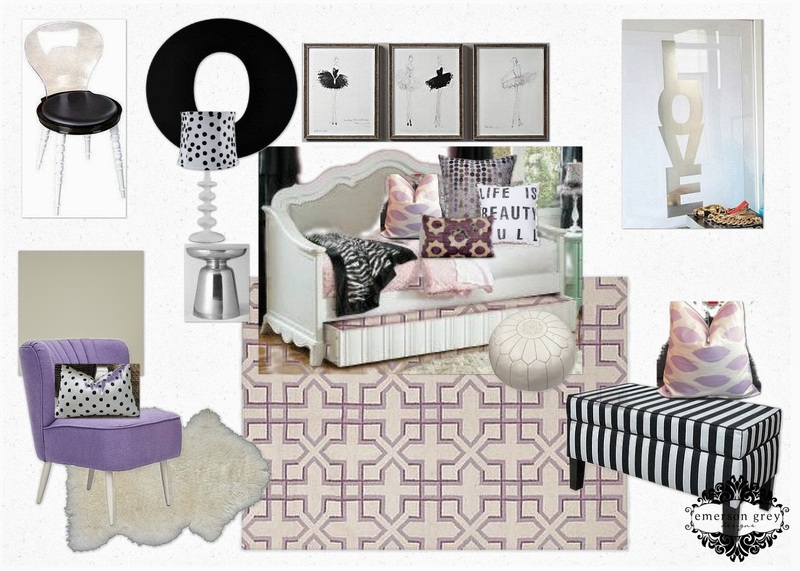 Lavender, lilac, purple…doesn’t matter which shade; this room was going to have it. Mixing these shades with black, white and silver really brought some fun contrast to this color scheme. This project has been so much fun for me because I adore my little client and her mommy! I’ll be sure to share photos with you so soon.